That proper equipment maintenance and upgrades with thermostat control, appropriate amount of insulation and air sealing, you can reduce your energy use for heating and cooling, and reduce the impact on the environment? Set thermostats between 65 to 70° during the winter and lower, such as 58° when away from home. You may need to keep the thermostat higher if an infant, ill or elderly person lives in your home. Programmable thermostats that turn down temperature automatically help save energy. Install weatherstrip around windows near your thermostat and keep them tightly closed. A cold draft across the thermostat will turn your heating system on unnecessarily. Have your heating and cooling systems inspected annually by a qualified professional. Inefficient heating and cooling systems can increase fuel consumption. Keep heating supply / return registers and radiators clean and unobstructed by furniture and draperies. Check for leaks in duct work. Leaks can usually be repaired easily and inexpensively with duct tape available at most hardware stores. Change or clean heating filters monthly during heating season. Tip: Your monthly gas bill can be a reminder. On a regular basis, hire a qualified specialist to inspect your chimney, flues and vents to ensure they are clear and working properly. Carefully plan use of the oven. When possible, avoid using range burners that are less efficient than a closed oven. A complete meal can be cooked in the oven as economically as one food item. Repair leaky faucets. One drop per second can waste as much as 10 gallons of water in a week. If the water is hot, you lose not only the water but also the energy used to heat the water. Check clothes to determine when dry and stop the cycle. Ensure maximum efficiency of your water heater. Have a qualified service person inspect the flame, damper, and stack temperature. 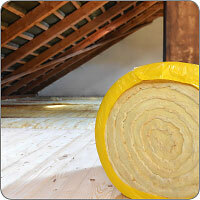 Assure good insulation in your attic. Homes in our area should have insulation with an insulation value of R-19. Check masonry walls and seal any cracks discovered. Copyright © 2014 - 2018 Mountaineer Gas Company. All rights reserved.